“Nuaras” organization’s goal is to provide a place for any animal that is homeless, injured or lost, with the best conditions possible, until they are able to find a new loving home and responsible owners or are able to go back to their old one. The “Nuaras” team mainly works with dogs and cats, but also provides care or veterinary treatment for wild animals and birds in cooperation with the Animal Welfare Association. Organization has made a notable input in decreasing the number of stray pets across Lithuania. “Nuaras” has shelters in three Lithuanian cities: Kaunas, Klaipėda and Alytus. All the dogs and cats of these shelters are vaccinated and the majority is sterilized. The shelters have some of the best specialists available with a lot of knowledge for the treatment and care of the animals. The “Nuaras” shelter in Klaipeda is called “Vakarų Lietuvos gyvūnų globos namai” (West Lithuanian Animal Shelter) and it was opened in 2011. 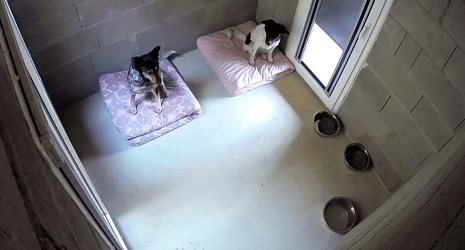 During a period between 2014 and 2015, this shelter found a new home for 674 homeless animals and reunited 94 lost pets with their families. Currently, “Nuaras” has about 400 homeless animals across all the shelters. The visitors are always welcome to volunteer or spend some time with the pets, as they most certainly lack attention from people. 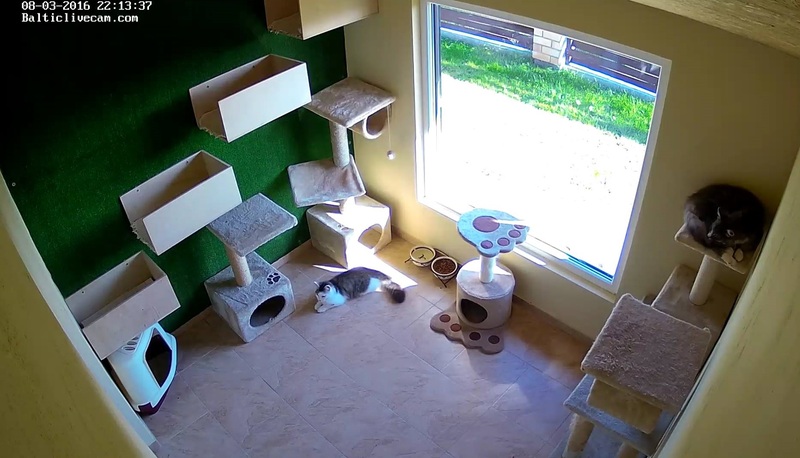 However, it is never for too long – inhabitants of the cat room and the dog room change almost every week and you will be able to see that from both of the live streams. Want to adopt a pet as well? You can always come to the shelter to look for a new friend or, if you are not able to come, buy some of the things necessary for the shelter down below and our team will deliver it right there.